Speciality Entertainment — Mitlas Productions, LLC. WHITE ROSES Barbershop Quartet sings a wide variety of music..50's doo-wop, Patriotic, American standards..and great arrangements of Barbershop Music. White Roses has a collection of over 100 songs to choose from bit that’s not all… custom tailored lyrics can be part of the presentation at your event, as well! From Somewhere Over the Rainbow to Under the Boardwalk, let the White Roses take your guests on an incredible musical journey! Caricaturists to provide portraits capturing incredible likeness spiced with humor and seasoned with expression. Each participant is given an 8.5/11 keepsake. Each drawing takes approximately five to seven minutes in black & white, ten minutes in color. Add a touch of class to any event with a dramatic, virtuosic Electric Strings ensemble. As one of the ‘most in demand’ entertainment options, we are proud to offer the finest and most accomplished in the Tri-State area. From relaxed classical sets through high energy arrangements, they are able to combine a fusion of musical genres with breathtaking technical skill and passion to create an attention-grabbing performance. You are feeling very relaxed. When I snap my fingers, you will awaken and have a wonderful time laughing with your friends as they enact suggested scenarios. 3-2-1... SNAP! Your guests are loving the show! Artists will adorn your guests in an array of festive patterns and colors. Each design is tailored to the individual's request and personality. A Digital Graffiti Wall is built to look and feel just like real street art. It’s intuitive to use, so anyone can grab one of the digital spray cans and take a turn. It's hi-tech, high impact and engaging -- something that will be remembered, talked about, blogged about and tweeted about town!. 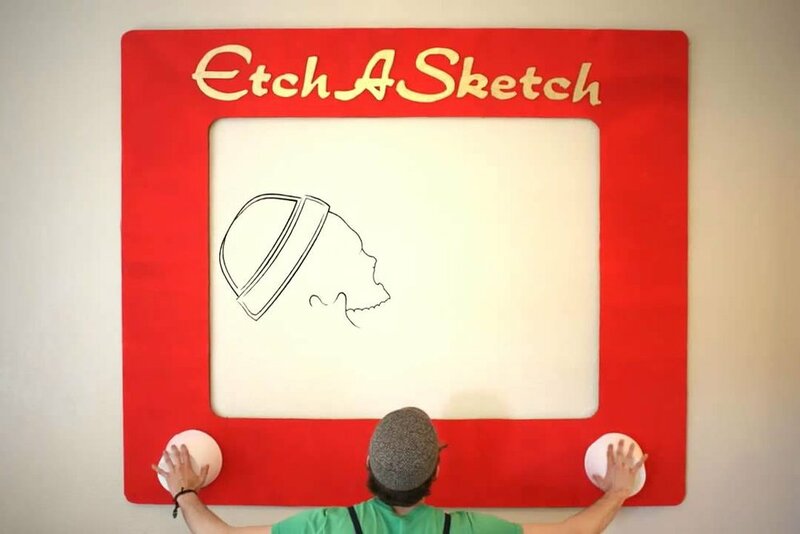 Create a giant piece of art with our giant etch-a-sketch. Here’s an iconic game of the past coming back in a HUGE way! Enhance the theme at your party with costumed characters. Choose from an assortment of themes to correspond with your party decor. Characters will mix and mingle with your guests. Amaze your guests with a skilled juggler. Guests of all ages will enjoy the old country charm and athleticism in each performance. We’ll provide the bowling balls, bowling pins and hay bales, your provide the guests! This is a perfect touch for an outdoor corporate employee appreciation day along with scarecrow making stations for a truly fun Fall festival feel! Our contortionists will bend and move their bodies in enchanting liatards to the amazement of your guests on a portable small stage, suspended from huge ribbons or in a 6 foot bubble. Our living statues are masters of the art of stillness and movement while exhibiting a distinguished statue-likefigure. They are magical marvels who can move an audience from laughter to tears. Our artists are trained in the art of Japanese Butoh dance. 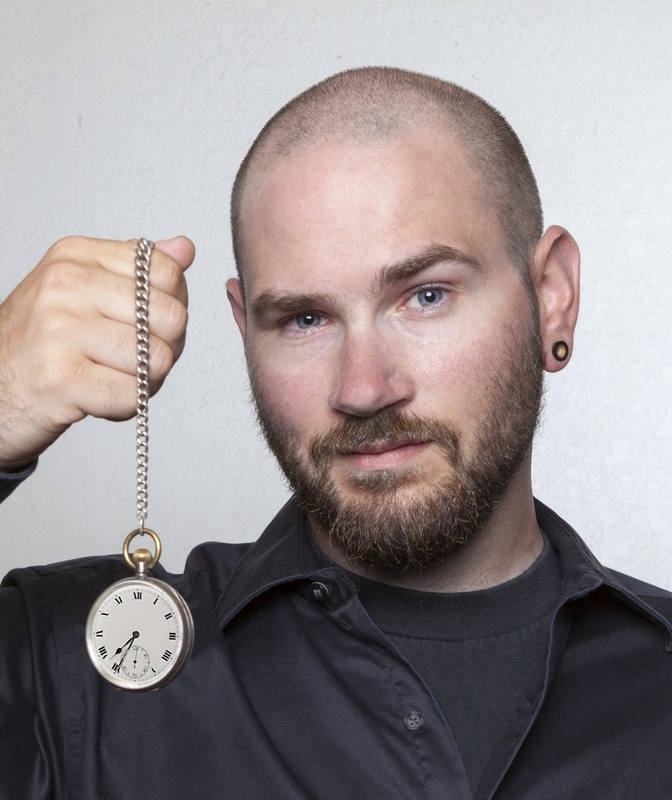 Magicians will mix and mingle while fascinating your guests. Performances include card tricks with jumbo cards, ropes, rings, a sword through the neck, and interactive entertainment. Treat your guests to the live sounds and energy of Mexican music favorites. Arriving on the music scene in the late 19th century, Mariachi Bands bring an upbeat yet traditional sound of the Mexican culture. With a blend of guitars, and trumpets, Mariachi music can truly liven up any party! Mimes in classic black and white attire meet, greet and entertain your guests in attendance, adding just the right amount of humor and artistry. Get any party started with high energy party dancers. Dancers will lead your guests with the newest steps as well as traditional favorites. Let our professional troupe of appropriately attired dancers start your party early and help it go all night. Guests at your next affair will enjoy the old world charm of this dynamic performer and his counterpart as they mix, mingle and entertain. By using paper, scissors and great creativity, our silhouette artists are truly on the cutting edge of talent for your next event. These beautifulk profiles will be treasured for a lifetime! Guests have casts of their hands made in colorful wax. Everyone will enjoy having a memento to take home with them after an evening of fun. 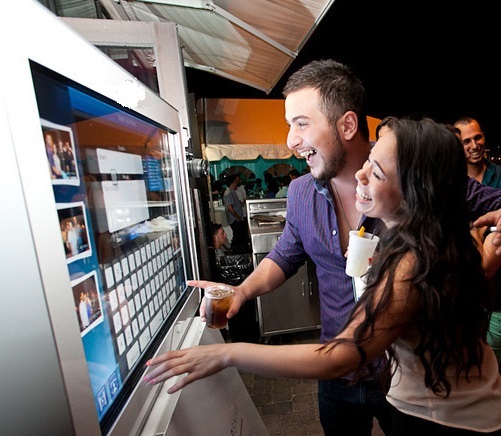 What a creative keepsake for your next corporate event or private affair! Please select as many options as you like from the list below to receive more information.